Join Panzero team - Looking for an exciting Job? Working at Panzero’® is about making people happy. It’s about being independent and having fun, making new friends and earning extra cash. 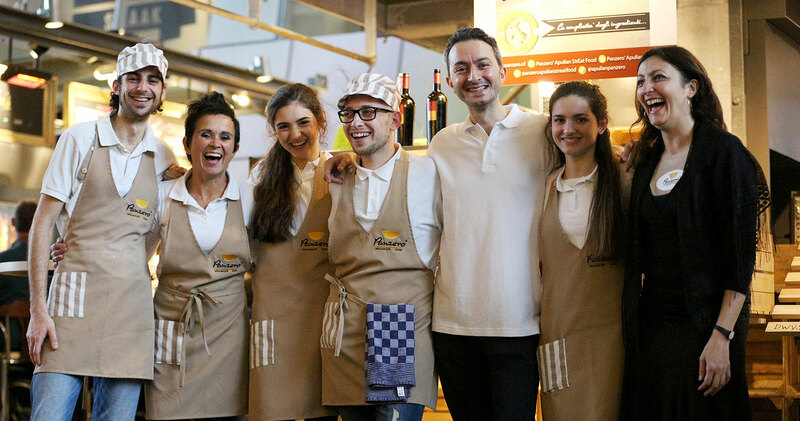 As a Panzero’® member, you can be the smiling face that greets and serves the customers or a Panzerotto Artist who make things happen behind the counter. Working with us will give you the financial rewards and flexibility to suit your lifestyle. You’ll learn new things, get recognized for your efforts and learn skills that last a lifetime. You are a fun and friendly person who values customers and takes absolute pride in everything you do. Communications skills are key – you should be comfortable talking to strangers. You’ve got attitude – the right kind of course – and understand the need to be on time, all the time. With loads of energy, you understand that work is easier – and more fun – with some teamwork.